The off road pull type units are great for getting into hard to reach areas. 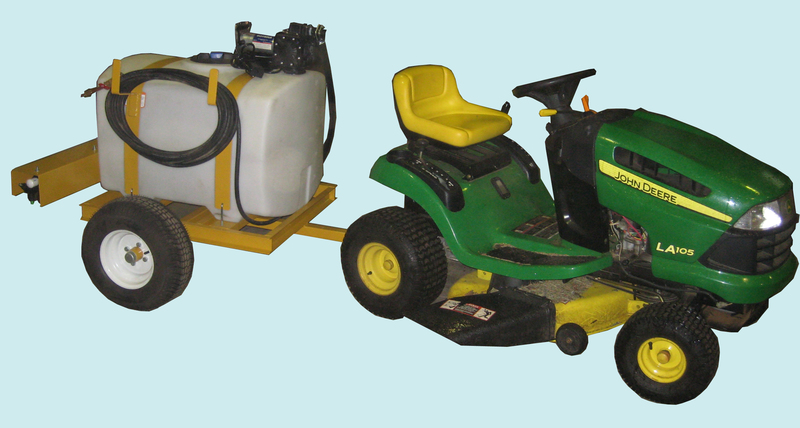 Units are available with a 12 Volt electric pump or with a Briggs and Stratton Vanguard 6.5 H.P. recoil start engine and a 2″ centrifugal pump with 75′ of 3/4″ discharge hose mounted on hose holders on the side of the tank. They may be equipped with hose reels, hose holders, or one of several boom options.